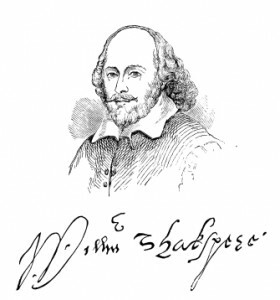 Rarely do I hit up my readers for help, but I’m looking for classrooms to participate in, what I believe to be, a cool interdisciplinary Project Based Learning opportunity that combines Shakespeare and the digital era. I was talking to Nina Zolt of ePals fame recently. We are both huge Shakespeare geeks. If we ran the world, Shakespeare would be uniting us all. After all, he speaks with metaphorical language that breaks down cultural barriers and with universal themes to which all generations and eras can relate. So our goal is to create an international digital production of Shakespeare’s A Midsummer Night’s Dream. So here’s the deal: if you are a 4th-12th grade teacher interested in being a part of this unique project, or if you know someone who is, reach out to me by Oct 15, 2012. Over the course of this school year, we will be doling out scenes to the schools who are interested in participating. You have almost the full school year to learn, perform, and edit your assigned scenes. If interested, I will send you guidelines so that all the scenes will have some basic foundational consistency. Send the completed scenes back to me and they will be cut together in chronological order, from beginning to end. Voila! A collaborative online production! You can involve a whole class or a small club of Shakespeare-lovin’ students. It’s entirely up to you. The timeline is yours, as is the amount of interaction you have with other schools involved in the project. The ideal, of course, is to interact with other schools and discuss Shakespeare or acting or the Renaissance, or whatever you deem academically interesting. Think of it like a theatrical pen pal project. But it can also work in isolation. So don’t let the fear of committing to work with other classrooms on their timeline be a deterrent. Interested or know a classroom that might be? I’ll take classrooms from all over the world or simply all over the U.S. The potential for this project is exciting, and, if successful, it will become a 1st annual project with visions of similarly produced plays each school year. Tweet this post. Share this post. Send it out into the great unknown, and let’s see what happens. I hope you can join me as I embark on this journey to celebrate The Bard. I know some 7th and 8th graders who would love to be involved in this. Any more info? I teach 7th grade LAL and we are writing and reading plays this year so this would fit in perfectly. Thanks! I would LOVE to participate in this. Please let me know the details. I teach 6-8. If I do this, I’d like to open it up to all the kids in our town through my community theatre. If I stayed within the age range would this be acceptable? I’m getting so excited about this. Can’t wait to hear back. Count me in. Sounds like a great idea! Sounds like a great idea. We already do “Much Ado About Nothin”. Love Shakespeare. We’re very interested! I teach 5th grade at a school for gifted kids. We’ll be reading/performing a cutting of Midsummer this spring anyway, so we’d love to be part of this project! I teach with Sara N above, but I teach 7th grade at the school for gifted kids. My 7th graders study all of Midsummer. Sara and I were talking, and we would both love to be part of this project. We could definitely collaborate and make this work with our 5th and 7th graders. Thanks! I would love to know more. My 6th graders do a Shakespeare play each year and there are a bunch who would love the chance to do more. Yes, we want to be part of this! I teach 5th grade gifted. We would love to participate if it’s not too late. Hi! If this happens again, please let me know! I would love to get kids involved! I teach 7th grade Language Arts in South Dakota. I am interested in participating with my middle school ELL & ELA students. We have a great Shakespeare community in Ashland, OR that might be useful for this as well. ??????????? ?? - ??????????? ?? ?????????????????????????????????????????????????????????????????????????????????????????????????????????????????????????????????????????????? ?